The following article is is the second part of a three part series about macular diseases. Macular Pucker, Macular Hole and Macular Degeneration. These are 3 separate clinical diseases that all affect the macula but have different causes and different treatments. Patients commonly confuse the three diseases because they all affect the macula. This article will be about Macular Hole. where there is so much distortion of the macula that a hole develops in the center of the macula. Not only will the patient have distortion, they will also have a scotoma (missing area) in the center of the vision. Not all macular holes will have a macular pucker. If one looks an OCT (Optical Coherent Tomography) picture of someone who has a macular hole, retinal tissue the shape of a round hole is missing in the center part of the macula. Like macular pucker, a macular hole affects the macula but it also has nothing to do with macular degeneration. This is also a completely separate disease with different etiologies and treatments. Macular hole is also most commonly idiopathic (etiology is unclear) but can be caused by trauma. It is more common in women and as one gets older. Macular holes in young patients are usually caused by blunt trauma to the eye. Common examples of blunt trauma are a punch to the eye or a sports injury from a soccer or tennis ball. 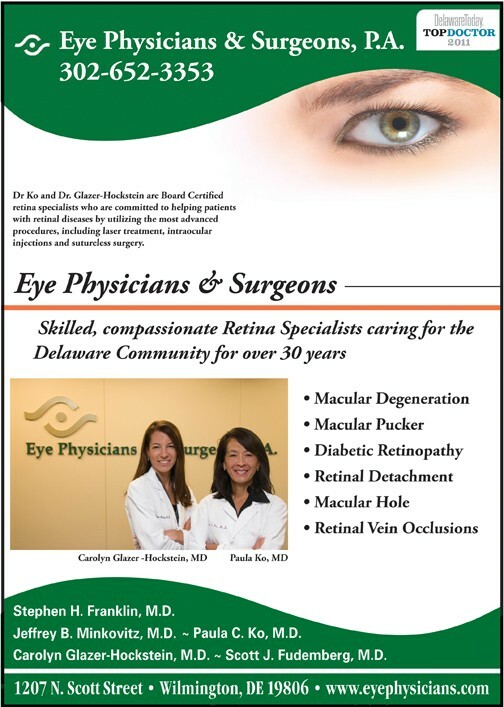 The treatment for macular hole requires outpatient surgery. In addition to the sutureless surgery called pars plana vitrectomy that is done to remove the vitreous, gas is injected into the entire posterior cavity of the eye. Post-operative facedown positioning is required for about 10 days after surgery in order for gas to pneumatically tamponade the hole closed. Once the hole is closed and the gas reabsorbs, the central vision is restored. When gas is in the eye a patient cannot fly in an airplane, go into high altitudes or receive Nitrous Oxide anesthesia. Many patients are worried about facedown positioning for 10 days. Surprisingly most all patients are very successful at maintaining the correct position. Patient age ranges from their 20’s to 90’s that all have this procedure done. When a patient knows that the success of vision return relies on their positioning, they tend to do it! The main complication of macular hole surgery is cataract formation. Most all elderly people will develop a cataract (if it has not already been removed) within a year of the surgery. Retinal detachment is another complication but much less common. In summary, Macular Holes can be successfully repaired surgically in symptomatic patients. 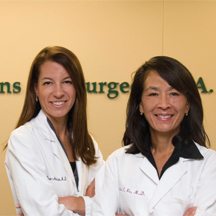 This surgery is done on an outpatient basis and will require post-operative positioning for up to 10 days. This disease is not related to macular degeneration and does not increase the risk of this disease. Below are OCT results of a patient with (A) Normal Macular Anatomy (B) Macular Hole. ← Previous Story What Is Palliative Care And How Can It Help You And Your Family?